Muhle have brought out the unique,Muhle starter shaving set. It has a black pure badger shaving brush. Also a tube of they’re most excellent traditional shaving cream. 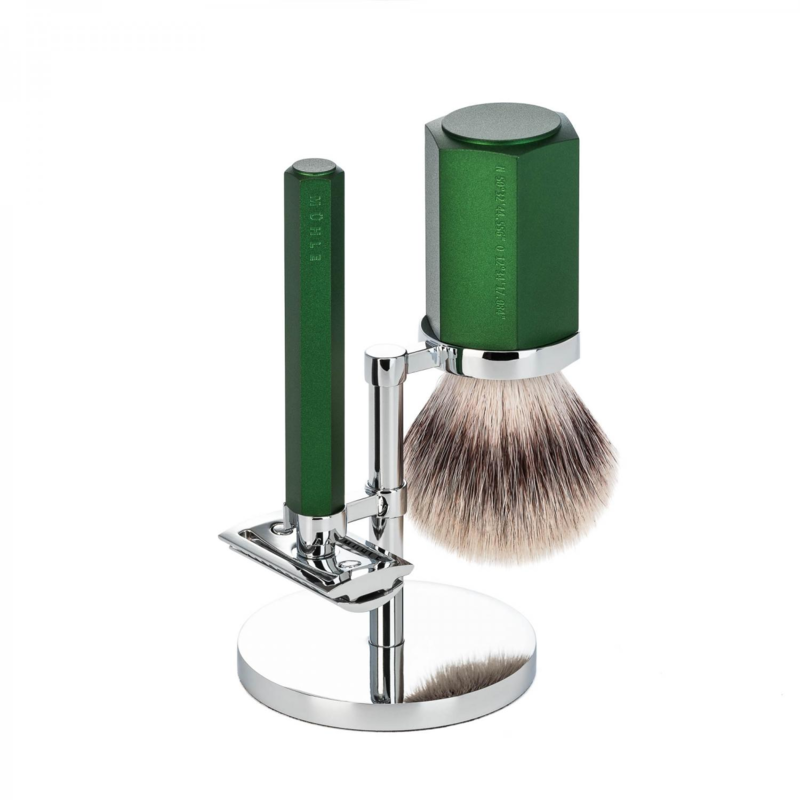 The Muhle starter set Edwards traditional shaving, Is an excellent beginning to the world of old fashioned wet shaving. As a lot of It Is the transition from a can of shaving foam to shaving brush and a quality shaving cream or soap. Shaving creams generally make more lather and would be used for professional wet shaves. The 75 g of Muhle shaving cream Is Aloe Vera, with light undertones of mint and oak moss. Aloe Vera Itself Is excellent for healing skin and therefore blemishes from shaving rash. It Is naturally very cooling and will moisturize and rejuvenate the skin. 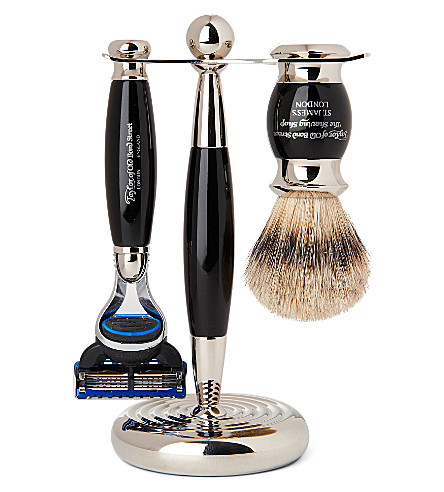 The traditional shaving brush Is great to handle, the black acrylic really brings out the plated chrome. The knot of hair being black badger Is very soft to the touch and Incredibly absorbent to whip up a hot lather.We are official retailers of Muhle, who are a German traditional shaving company. We have a vast range of they’re safety razors and other great products on the site see link. 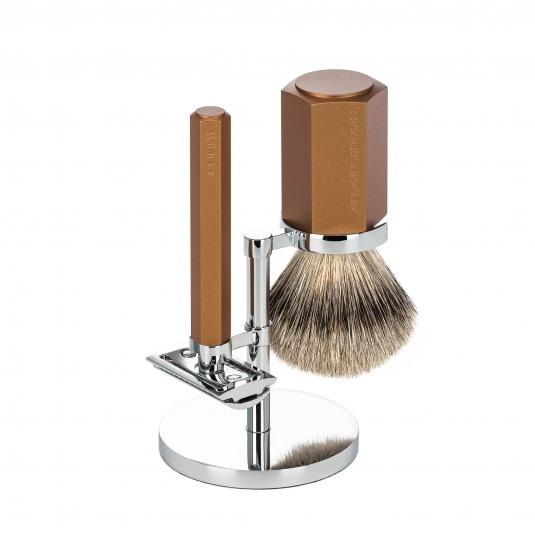 The Muhle starter set Edwards traditional shaving Is a great gift, we as a company love what we sell, and know a great deal of Information about the subject. If you have any questions about traditional shaving please get In touch. You can also consult our most excellent blog, where we have a great deal of shaving tips and product descriptions.